The festival of Diwali is joyous one. It is a season of merriment, meeting, greeting celebrating and bursting crackers. A holiday season looked forward to by almost all. All except animals. It is a stressful time for all animals and birds since the bursting of crackers affects them physically, mentally as well as emotionally. The four main days of Diwali have an adverse effect on them due to the raised noise decibels. Ensure that you shut doors and windows in the evenings and nights to reduce the noise and smoke that comes in. If possible keep the curtains closed. This reduces the visibility of the bursting of crackers and blinding lights thus reducing panic among the pets. 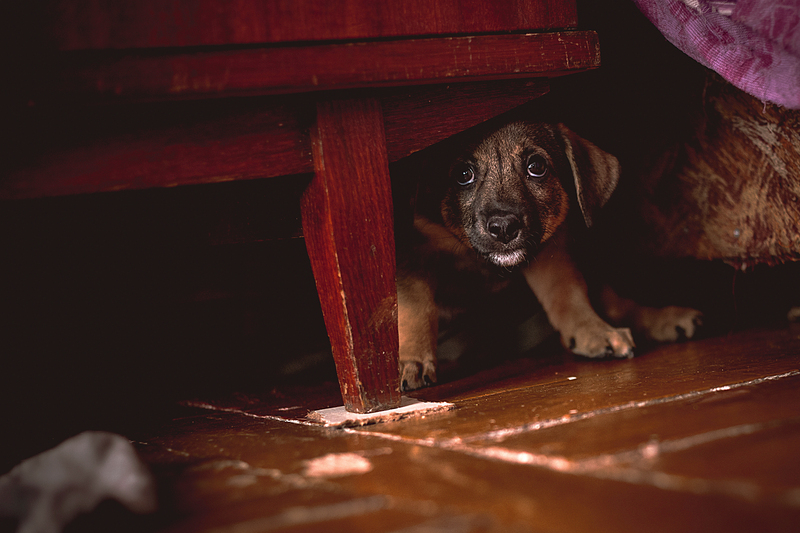 Prepare a suitable room for your pet where the noise level has the least impact. This can be an inner room in the house or even a bathroom. Lay down the pets’ favourite toys and mat along with some food and water and their favourite chew toys. Constantly reassure your pet by petting it. Companionship definitely helps to keep your pet calm and not get frightened. Some people might also consider travelling to a quieter place with their pet so as to keep them away from the harm and not let them be affected by the cracker noise and pollution. Feed your pet before the bursting of the crackers start. This ensures that they are slightly calmer and do not stay hungry through the night. Certain countries follow the practise of ‘sound therapy’ where in they play music that reduces the pet anxiety. This practise is generally followed before nightfall. This ensures that the pet remains unruffled once the loud noises begin. Classical music has been proven to reduce the stress level of pets. Playing this will help comfort your pet as long as it’s not on an extremely loud level. This practise can be started a few months in advance so that by the time the time Diwali arrives, your pet has become accustomed to it. Dogs generally tend to scamper away once the noise levels increase. Take them for a long run or exercise before this happens, to ensure that they don’t need to go out to relieve themselves before the curfew time for bursting of crackers. Some veterinarians also recommend sedation under supervision for those animals with health issues or nervous behaviour. This helps them sleep calmly without triggering a fearful reaction to the incessant cracker burning. This year have a safe Diwali and ensure a safer one for your pet as well. They deserve to celebrate every bit of it.